Book London magicians "Norvil & Josephine"! The distinctive London magician duo Norvil & Josephine present their work throughout London, the UK and internationally. Their entertaining and award-winning act has received critical acclaim and is perfect if you're looking for a stage magician show to dazzle at your event. Check out their London magicians home page to see the video of them in action! Any event in London is under pressure to be unusual and make a positive lasting impression on the audience. This show steps up to that challenge because it’s unlike any other live magician show for hire in the UK. Apart from incredible magic, they blend in the unusual twist of acrobatics and singing throughout the show. WHY HIRE THESE LONDON MAGICIANS? This act comes complete with over ten years of experience as an act, and many more than that as professional performers in other act. Their experience and critical acclaim together mean this London magician show will be impress, drawing on their varied repertoire in a show that will shine in your venue. 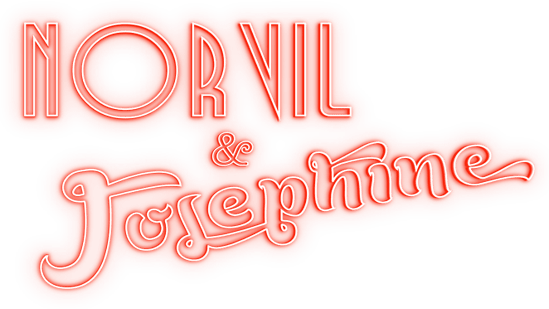 Visit their London magicians page for lots more about how Norvil & Josephine could appear at your event to present something special that your audience and guests will talk about for years to come.